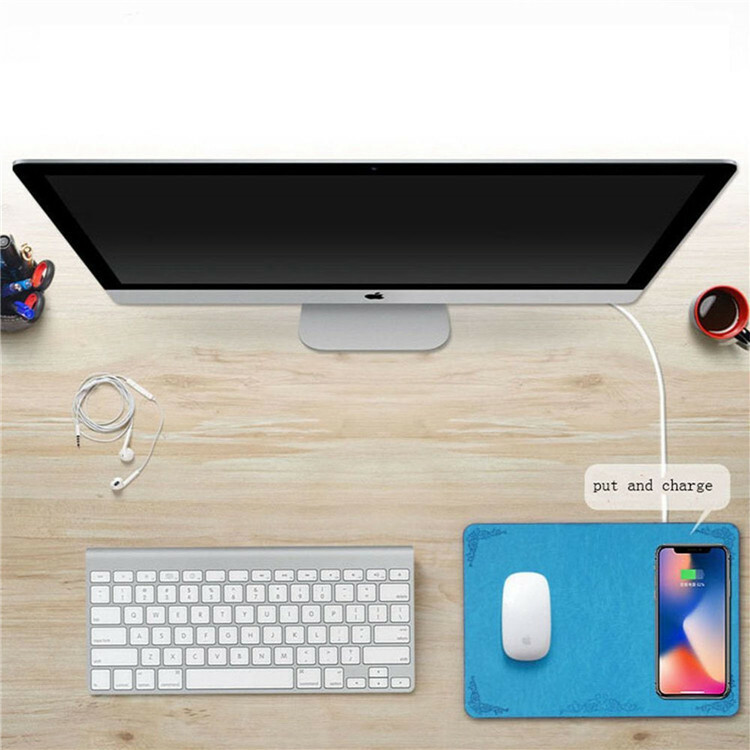 Simplify Your Life：Adopted to 2in 1 design, elegant Appearance Mouse pad and QI wireless charger, it can be used at the same time. Simply place your phone directly onto the wireless charging pad and your phone begins to charge, and it's comfortable and convenient. 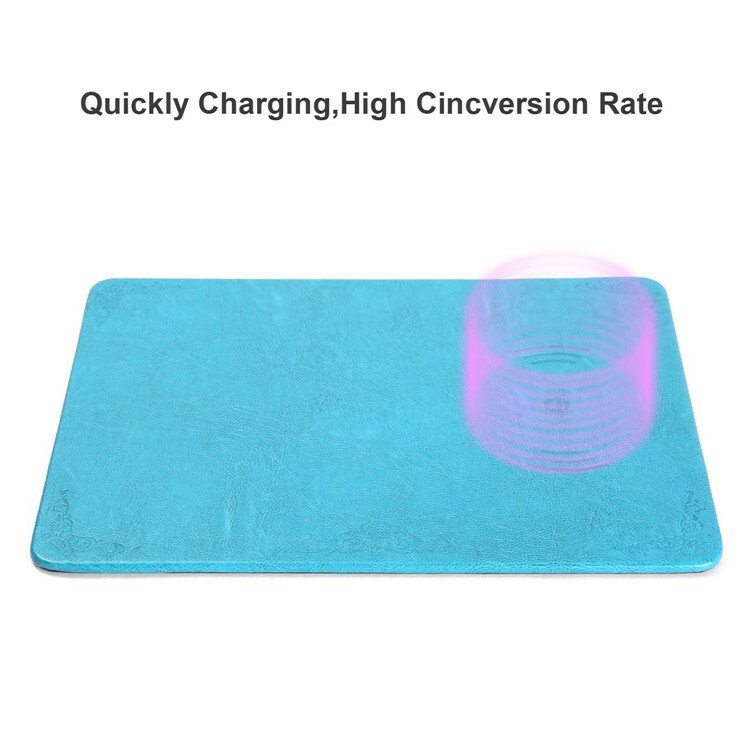 High Intelligent Identification: The wireless charging mouse pad can intelligently recognize the original metal, even if it is a coin can correctly identify, prevent the metal charging, the security hidden trouble when recharging. 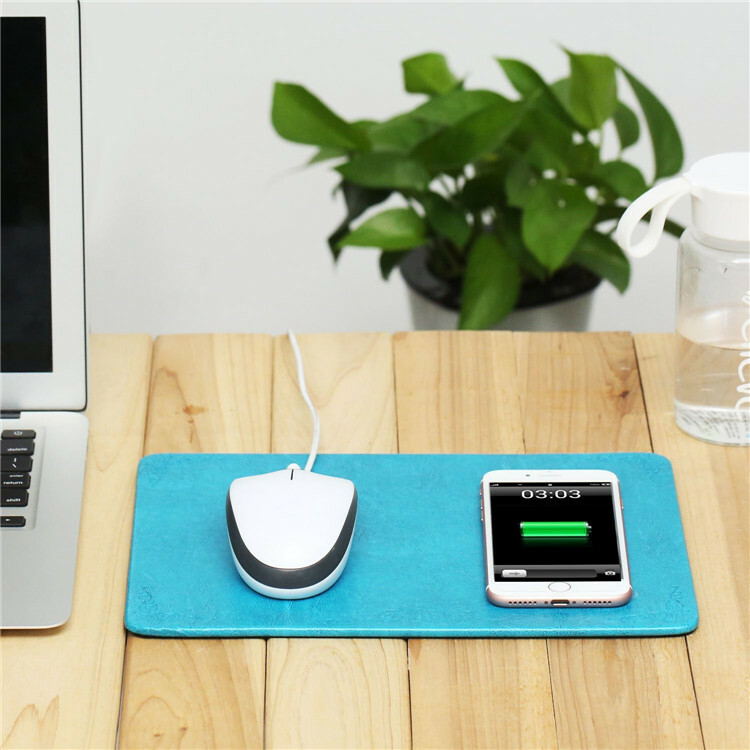 Efficient Charger & Energy Saving: The wireless charging mouse pad uses QI standard wireless charging technology, the charging rate can reach up to 75 percent, full of the automatic standby, which can effectively save energy consumption. 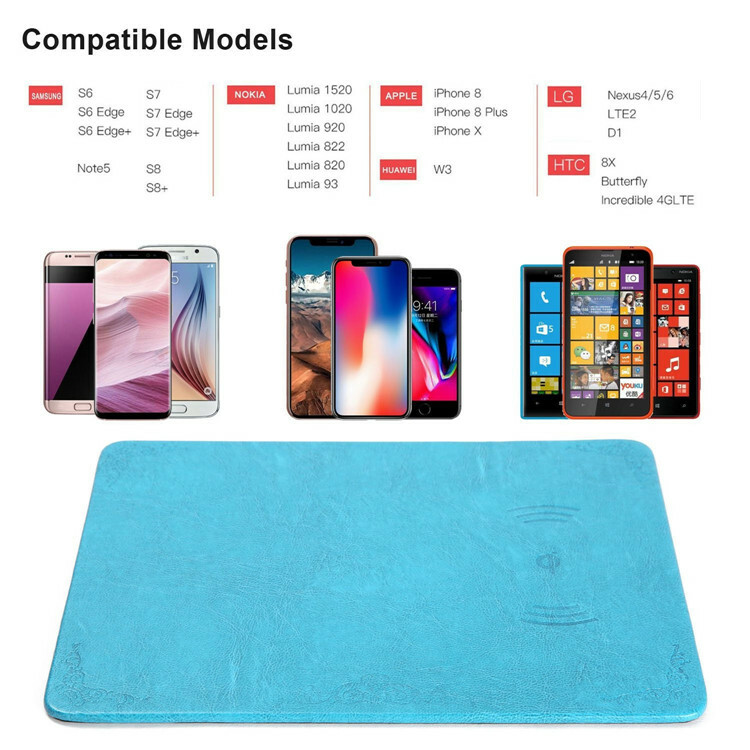 Humanized Design: Wireless Mouse Pad Charger design brief, thin elegant, process the overall thickness is only 7 mm, appearance using PU leather and velvet package, have qualitative feeling smooth, there will be no skid, also need not worry about the mouse and the mobile phone has worn. 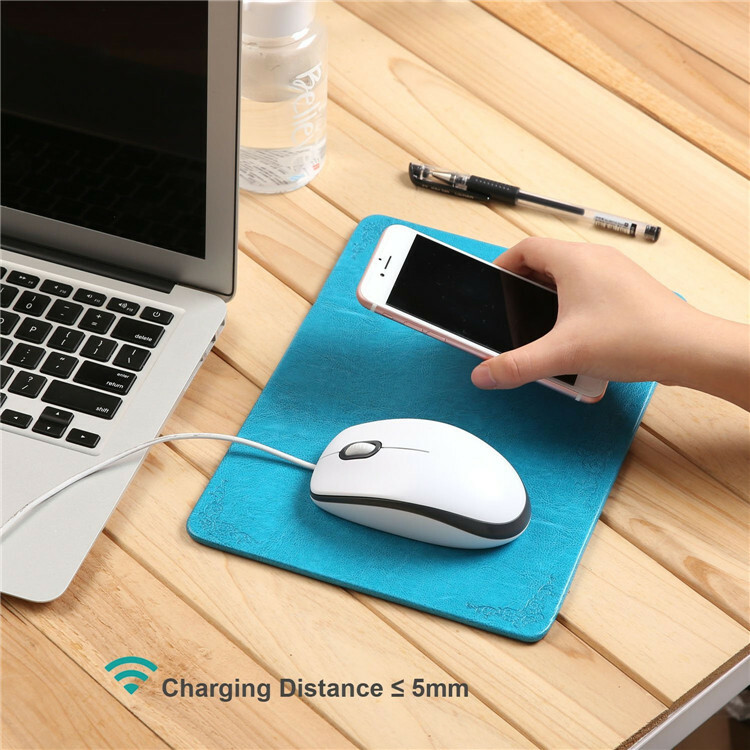 Universal Compatibility : wireless charging mouse pad is suitable for various types of mobile phones, such as: Samsung Galaxy Note 4/S5/Note 3/ S4/ S3 / Note 2 -iPhone 7/7 Plus/6/6Plus/5C/5S/5/4/4S - Nokia 720,Nokia 820 - LG G3,LG G4.